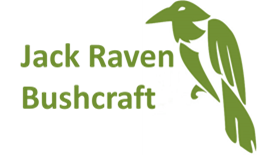 Your bushcraft experience is focused on 4 key skills of bushcraft and woodland living – fire, shelter, food and water. But as with all of our bushcraft courses, the skills you’ll learn are transferable and are useful to campers, canoeists, hikers, those that enjoy wild camping and many other outdoor activities. This 5 day bushcraft course is our most exhaustive course in terms of both breadth and depth of learning. However, you don’t need any previous experience to attend as we start from the basics and progress throughout the 5 days. This is definitely one of our favourite bushcraft courses as it allows you to immerse yourself fully in the woodland and really become a part of it. The emphasis is on ensuring that you have plenty of opportunity to practice the skills that we show you so that as you progress through the 5 days you become more proficient and independent. It also gives you time to really get to know us and your fellow students. Finish it all off by collecting materials to light a fire without using matches, lighters or a fire steel and boil water over your pot hanger. We also include a session on kit selection so that you can learn from our mistakes. I completed the 5 day bushcraft course. It was exceptional. Intensive learning throughout the daylight hours still felt well paced and enjoyable. Shelter building, wood carving, fire building, fire through friction and much more. Expertise in the team is very high. Thoroughly recommended. And the people who run this are very knowledgable and are also great, and I learnt so much, I would highly recommended going,even if that’s just for the day, or take your children for the weekend, yes I will be going back. I have just completed the 5-day bushcraft course in July. Absolutely fantastic instruction by Gary, fantastic cooking by Nicola (and medicinal plants input). A lot of stuff learnt with a whole load of skills to take away, practice and continue. I knew a little bit before, so I didn’t want to do a 1 or 2 day course, but conversely I knew my skill level was far too low to do anything advanced so I decided to do the five day course, this was spot on. I know a huge amount more now and also that skills stem from practice. Amongst many things I have actually managed to carve a spoon that actually has proportions that make it look like one, thank you. I also have to say thanks to the other participants, none of us knew each other before but the “team” work, banter and occasional outbreaks of intelligent conversation made it work like a dream. Highly recommended. Enjoyed it so much I’m doing it again next week! Gary and the team are brilliant! Loved my first bushcraft experience (March 17) so much I have booked up again and am going again next week (July 18). The 5 days I spent allowed me to have a better appreciation for nature and the world around me, so much so I moved out into the country more and carry a parachute hammock everywhere I go now just in case there is a chance I can string it up! I went for their 5 day bushcraft course last week. It was so fun! Really relaxed, friendly and engaging team. Bob and Gary are great teachers and Nicola is an amazing cook! Such great food every day 😀 The location is beautiful as well! I'll definitely be going back again asap!